The latest book from Esri Press provides a comprehensive view of the American Land Records System. 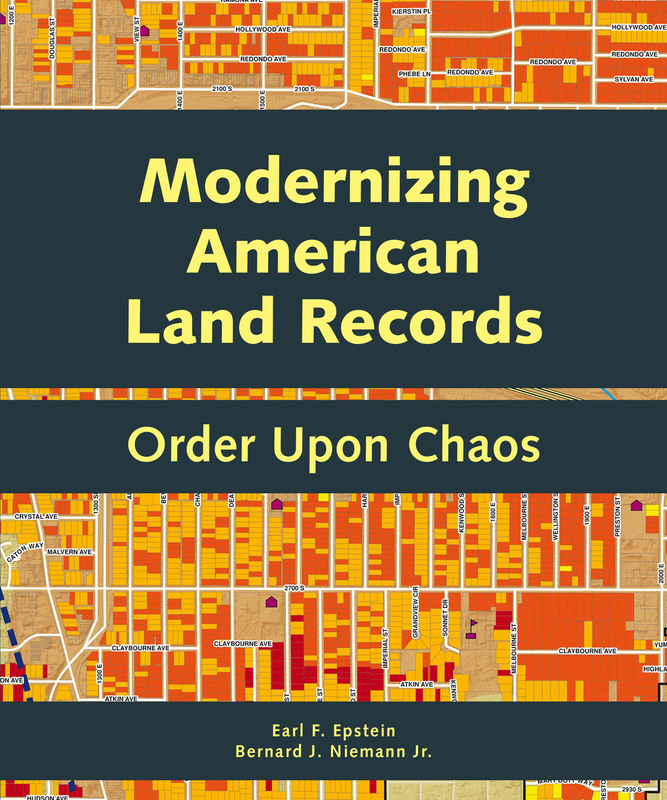 Redlands, California—Modernizing American Land Records: Order upon Chaos examines the history of American land concepts, governance, and records systems and their use. The book considers institutional land record trends and the latest technical developments of location-oriented land data systems such as geographic and land information systems (GIS/LIS). Both the institutional and technical concepts are reconciled in the authors' proposed design of a modern American Land Records System (ALRS) that is consistent with current attitudes, practices, and technological development. The book is coauthored by Earl F. Epstein and Bernard J. Niemann Jr. Epstein is professor emeritus in the School of Environment and Natural Resources at Ohio State University. Niemann is professor emeritus in the Department of Urban and Regional Planning and director of the Land Information and Computer Graphics Facility at the University of Wisconsin-Madison. 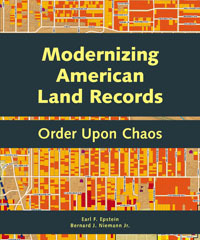 Modernizing American Land Records: Order upon Chaos (ISBN: 9781589483040, 216 pages, US$24.99) is available at online retailers worldwide, at esri.com/esripress, or by calling 1-800-447-9778. Outside the United States, visit esri.com/esripressorders for complete ordering options, or visit esri.com/distributors to contact your local Esri distributor. Interested retailers can contact Esri Press book distributor Ingram Publisher Services.